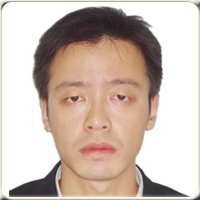 Mr. Yu Baoliang, born on May 25th ,1983, graduated from Civil Aviation University of China in 2006, who’s major is Traffic Engineering. During his career until now, he always focus on the airport airfield pavement construction engineering. he has been a Designer, Supervisor, and international EPC contractor successively in the field of airport pavement construction. He has participated in Luang Prabang International Airport Reconstruction Project in Laos as the Engineer & Site Manger of EPC contractor. And now he was delegated as the Project Manger of Niamtougou Airport Infrastructure Rehabilitation Project in Togo. 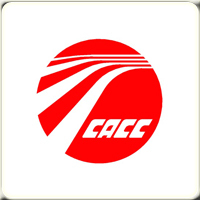 China Airport Construction Group Corporation of CAAC (CACC) was founded in 1954. As the only enterprise offering a full range of services in the civil airport construction, CACC is a science and technology concentrated State Owned Enterprise with Grade-A certificates in Engineering Design, Consultation, Supervision and Geotechnical Engineering. The business of CACC includes the Turn-Key Projects, Project Management, Engineering Investigation, Consultation, Design, Supervision, Construction, and Research, etc. The wide range of services shapes up business specializations in three fields: Engineering Design and Consultancy, Engineering Project Management, and Construction. Since the establishment in 1954, CACC has successfully completed nearly 150 projects nationwide in building new airports and extending airports, offering services from site-selection, pre-feasibility study, feasibility study, master plan to design. CACC has also carried out over 40 projects in airport engineering supervision, and more than 30 projects in engineering contracting and project management. At present, CACC has asisted 80% of the reginal airports and feeder airports in China to realize their development goals . CACC has undertaken a series of overseas airport projects, for instance, in Vietnam, Cambodia, Mauritius, Albania, Comoros, Tonga, Angola, DPRK, Lao, and Republic of Congo. CACC is open to have close cooperation with international design firms. The partners that CACC worked with include: NACO from the Netherlands, Landrum & Brown from USA, Airport De Paris (ADP) from France, Nippon Koel from Japan, Obermeyer from Germany, VECTOR and Atkins from UK and so forth. CACC is aiming to expand its business scope to cover the whole process of infrastructure design and construction for airports, municipality engineering, and transportation engineering, and become a world renowned and Asia’s leading airport engineering contractor by 2020.